American commentary on Trump’s meeting with Vladimir Putin ranges from “a great idea and a good idea” to “treasonous.” But outside the traditional U.S. talking points, an Eastern European leader says the summit was “a missed opportunity” to promote faith and liberty. 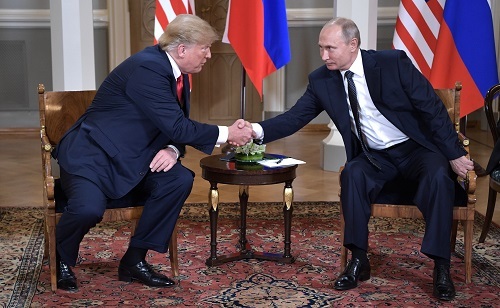 Mihail Neamtu, Ph.D., a public intellectual in Romania, analyzes the NATO summit and Trump’s meeting with Vladimir Putin in a new essay for Acton’s Religion & Liberty Transatlantic website. In Russian business, as much as her politics, corruption is rampant. Both kinds of corruption have the same origin: The Russian economy ranks the 107th out of 180 freest in the 2018 Index of Economic Freedom. “Russia increasingly abuses individuals’ economic and property rights, thereby reducing the attractiveness of the country at home and its global competitiveness abroad,” write Heritage scholars James Robert and Ivan Benovic. As the son of a poor Scottish lady who came to New York in the early 1930s, Donald Trump could use his platform to explain the relationship between economic freedom and prosperity. This American president must articulate a more hopeful vision for the peoples living in Ukraine, Georgia, Armenia, Moldova, and other former Soviet countries. … This summer, in Brussels and Helsinki, Donald Trump could have spoken at greater length about faith, liberty, and national sovereignty, the same way he did during his powerful address in Warsaw last year. What a missed opportunity.